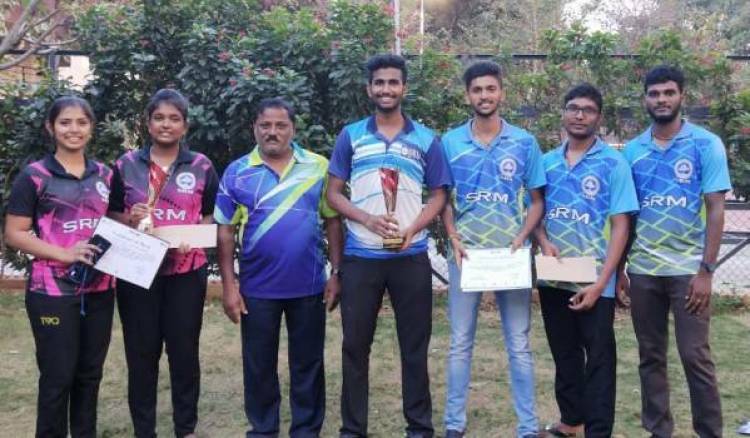 All India intercollegiate Badminton Men and Women Tournament held at VIT Vellore on 8th and 9th feb 2019. SRM IST beat Gurunanak college ,Chennai. SRM IST beat DG VAISHNAVA College ,Chennai. SRM IST beat BHARATHAMATHA college,cochin . SRM IST beats auxilium college ,Katpadi. SRM IST beats VIT college ,vellore .